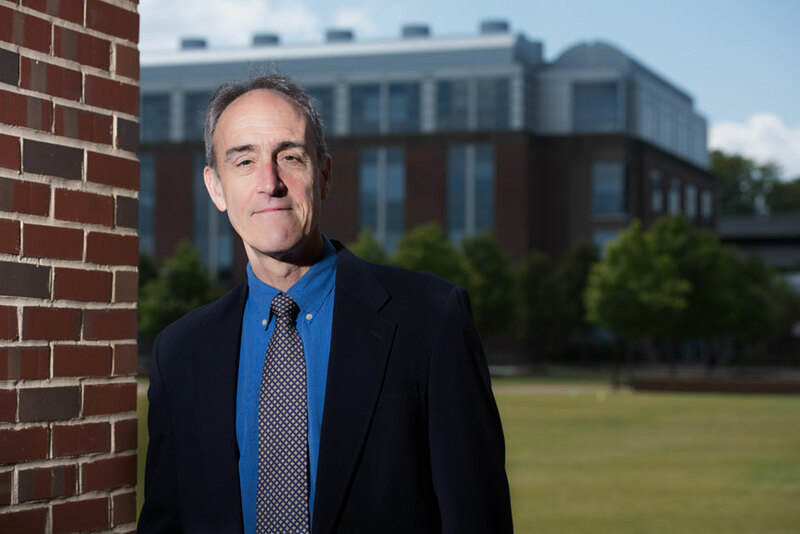 Dr. Mark G. Papich is a Professor of Clinical Pharmacology, and Supervisor of the Clinical Pharmacology Laboratory in the College of Veterinary Medicine at North Carolina State University. He is a diplomate in the American College of Veterinary Clinical Pharmacology (ACVCP), and has served as president of ACVCP. He is also a Fellow in the American Academy of Veterinary Pharmacology and Therapeutics. He has served on the Council of Experts and Chairman for the Veterinary Drugs Expert Committee for the United States Pharmacopeia (USP) and a member and current Chairholder of the Clinical Laboratory Standards Institute (CLSI) Veterinary Antimicrobial Susceptibility Testing subcommittee (VAST). He served as a member of the Veterinary Medicine Advisory Committee of the Food and Drug Administration (FDA). He has taught veterinary pharmacology for over 25 years. He has authored/edited seven books on veterinary pharmacology and is one of the editors of the 9th and 10th editions of Veterinary Pharmacology and Therapeutics. He is author or co-author of 200 research papers published in refereed journals and has authored over 105 book chapters, and review papers. In 2013 he was awarded the LE Davis Award by the American Academy of Veterinary Pharmacology & Therapeutics for significant contributions in veterinary pharmacology. In 2009 he was awarded the AAVPT Teaching Award, in recognition of 25 years devoted to teaching and his contribution to clinical pharmacology. 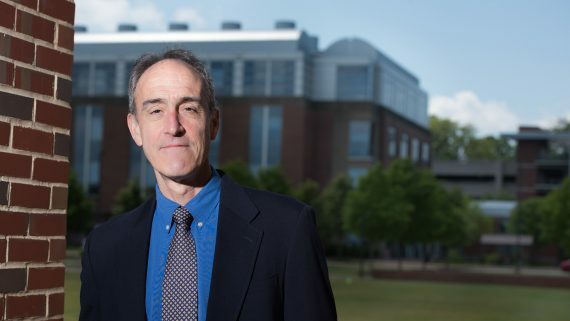 In 2008 he was awarded the NCSU Huffman Leadership Award, in recognition of outstanding contributions to NC State University College of Veterinary Medicine, and also in 2008, was awarded the Pfizer Award for Research Excellence, for outstanding achievement and dedication in the field of Veterinary Medicine. He has also delivered hundreds of presentations on veterinary pharmacology at national and international veterinary meetings, conferences and symposia. Member of the AVMA, AAVPT, ACVCP. Chairholder of the CLSI Veterinary Antimicrobial Susceptibility Testing subcommittee, Member of the USP Expert Panel on Veterinary Drug Formulations. The research program in veterinary clinical pharmacology at North Carolina State University College of Veterinary Medicine consists of studies designed to define and improve rational drug therapy in animals. The research focus consists of studies in a wide variety of animal species, including dogs, cats, horses, ruminants, zoo animals, reptiles, fish, and birds. Current studies focus on the disposition of antibiotics, antifungal drugs, anti-inflammatory drugs, gastrointestinal drugs, and analgesic drugs in a variety of animal species. Studies originate from our laboratory, or are performed in collaboration with investigators at NCSU, other veterinary colleges, zoos, or pharmaceutical companies. The Clinical Pharmacology Laboratory is equipped with state-of-the-art analytical equipment and has procedures for analyzing most medications administered to animals. The Laboratory maintains software licenses for current pharmacokinetic software capable of performing traditional compartmental modeling, non-compartmental pharmacokinetics, pharmacokinetic-pharmacodynamic (PK-PD) analysis, and nonlinear mixed-effects modeling (NLME) for population studies. (2017) Drugs Affecting Animal BehaviorGruen ME, Sherman BL, Papich MG. | Veterinary Pharmacology and Therapeutics, 10th edition (Rivier JE, Papich MG, editors), Ames IA: Wiley-Blackwell, 2017, in press. (2009) Plasma and ear tissue concentrations of enrofloxacin and its metabolite ciprofloxacin in dogs with chronic end-stage otitis externa after intravenous administration of enrofloxacin.Cole LK, Papich MG, Kwochka KW, Hillier A, Smeak DD, Lehman AM. | Veterinary Dermatology 2009 Feb;20(1):51-59. PMID: 19152587. (2015) Pharmacokinetics and distribution of voriconazole in body fluids of dogs after repeated oral dosing.Lemetayer JD, Dowling PM, Taylor SM, & Papich MG. | Journal of Veterinary Pharmacology & Therapeutics. 2015 Volume: 38 Issue: 5 Pages: 451-456. (2015) CLSI. Performance Standards for Antimicrobial Disk and Dilution Susceptibility Tests for Bacteria Isolated From Animals; Approved Standard—Fourth Edition. (MG Papich, Chairholder of Subcommittee) | CLSI document VET01-A4-S3 (Third supplement). Wayne, PA: Clinical and Laboratory Standards Institute; 2015. (2015) Strategies for treating infections in critically ill patients. Chapter 182.Papich MG. | In: Small Animal Critical Care Medicine, Second Edition. 2015. Silverstein DC, and Hopper K (editors), Elsevier/Saunders, St. Louis, MO. Page 949-956. (2015) Chapter 12. Nonsteroidal anti-inflammatory drugs. In Veterinary Anesthesia and AnalgesiaPapich MG & Messenger K. | The 5th Edition of Lumb and Jones. Grimm KA, Lamont LA, Tranquilli WJ, Greene SA & Robertson SA, editors. Wiley Blackwell, 2015. Pages 227-243. (2015) Posaconazole pharmacokinetics after administration of an intravenous solution, oral suspension, and delayed-release tablet to dogs.Kendall J, Papich MG. | American Journal of Veterinary Research. 2015 May;76(5):454-9. PMID: 25909378. (2015) Alternate-day dosing of itraconazole in healthy adult cats.Middleton SM, Kubier A, Dirikolu L, Papich MG, Mitchell MA, Rubin SI. | Journal of Veterinary Pharmacology & Therapeutics. 2015 Apr 13. doi: 10.1111/jvp.12231. [Epub ahead of print] PMID: 25865750. (2015) Pharmacokinetics of minocycline in domestic cats.Tynan BE, Papich MG, Kerl ME, Cohn LA. | Journal of Feline Medicine & Surgery. 2015 Apr 7. pii: 1098612X15579114. [Epub ahead of print] PMID: 25851119. (2015) Plasma concentrations of lidocaine in dogs following lidocaine patch application over an incision compared to intact skin.Joudrey SD, Robinson DA, Kearney MT, Papich MG, da Cunha AF. | Journal of Veterinary Pharmacology & Therapeutics. 2015 Apr 3. doi: 10.1111/jvp.12224. [Epub ahead of print] PMID: 25846945. (2015) Effect of chronic administration of phenobarbital, or bromide, on pharmacokinetics of levetiracetam in dogs with epilepsy.Muñana KR, Nettifee-Osborne JA, & Papich MG. | Journal of Veterinary Internal Medicine. 2015 Mar;29(2):614-9. PMID: 25711374. (2015) Plasma Drug Concentrations of Orally Administered Rosuvastatin in Hispaniolan Amazon Parrots ( Amazona ventralis).Beaufrère H, Papich MG, Brandão J, Nevarez J, Tully TN Jr. | Journal of Avian Medicine & Surgery. 2015 Mar;29(1):18-24. PMID: 25867662. (2014) Respiratory drug therapy. Chapter 151.Hawkins EC & Papich MG | In: Bonagura JD & Twedt DC (Editors), Kirk’s Current Veterinary Therapy XV Saunders-Elsevier, page 622-628; 2014. (2014) Appendix I, Table of Common Drugs: Approximate Dosages.Papich MG, Consulting Editor | In: Bonagura JD & Twedt DC (Editors), Kirk’s Current Veterinary Therapy XV Kirk’s Current Veterinary Therapy XV, Saunders-Elsevier, page 1307-1335; 2014. (2014) Guidelines for the diagnosis and antimicrobial therapy of canine superficial bacterial folliculitis (Antimicrobial Guidelines Working Group of the International Society for Companion Animal Infectious Diseases).Hillier A, Lloyd DH, Weese JS, Blondeau JM, Boothe D, Breitschwerdt E, Guardabassi L, Papich MG, Rankin S, Turnidge JD, Sykes JE. | Veterinary Dermatology. 2014 Jun;25(3):163-75, PubMed PMID: 24720433. 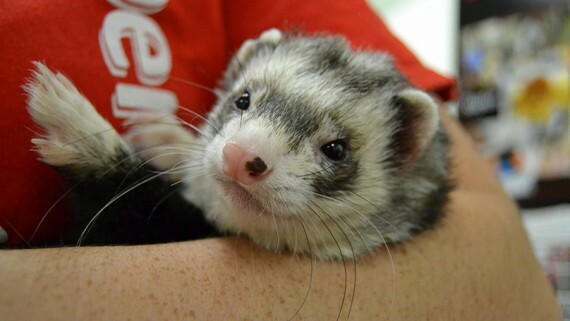 (2014) Meloxicam pharmacokinetics using nonlinear mixed-effects modeling in ferrets after single subcutaneous administration.Chinnadurai SK, Messenger KM, Papich MG, Harms CA. | J Vet Pharmacol Ther. 2014 Feb 1. [Epub ahead of print] PubMed PMID: 24483951. (2013) Pharmacodynamics of doxycycline and tetracycline against Staphylococcus pseudintermedius: proposal of canine-specific breakpoints for doxycycline.Maaland MG, Papich MG, Turnidge J, & Guardabassi L. | Journal of Clinical Microbiology 2013 Nov;51(11):3547-54. (2013) Bioequivalence of orally administered generic, compounded, and innovator-formulated itraconazole in healthy dogs.Mawby DI, Whittemore JC, Genger S, & Papich MG. | Journal of Veterinary Internal Medicine 2014 Jan;28(1):72-7. doi: 10.1111/jvim.12219. Epub 2013 Nov 1. (2013) Assessment of plasma concentrations and potential adverse effects of doxycycline in cockatiels (Nymphicus hollandicus) fed a medicated pelleted diet.Flammer K, Massey JG, Meek CJ, & Papich MG. | Journal of Avian Medicine & Surgery 2013 Sep;27(3):187-93. (2013) Antimicrobials, susceptibility testing, and minimum inhibitory concentrations (MIC) in veterinary infection treatment.Papich MG. | Veterinary Clinics of North America (Small Animal Practice) 2013 Sep;43(5):1079-89. (2013) Antibiotic treatment of resistant infections in small animals.Papich MG. | Veterinary Clinics of North America (Small Animal Practice) 2013 Sep;43(5):1091-107. (2013) Stability of three commonly compounded extemporaneous enrofloxacin suspensions for oral administration to exotic animals.Petritz OA, Guzman DS, Wiebe VJ, & Papich MG. | Journal of the American Veterinary Medical Association 2013 Jul 1;243(1):85-90. (2013) Doxycycline concentration over time after storage in a compounded veterinary preparation.Papich MG, Davidson GS, Fortier LA. | Journal of the American Veterinary Medical Association. 2013 Jun 15;242(12):1674-8. (2013) CLSI. Performance Standards for Antimicrobial Disk and Dilution Susceptibility Tests for Bacteria Isolated From Animals; Approved Standard—Fourth Edition. (MG Papich, Chairholder of Subcommittee) | CLSI document VET01-A4. Wayne, PA: Clinical and Laboratory Standards Institute; 2013. (2013) CLSI. Performance Standards for Antimicrobial Disk and Dilution Susceptibility Tests for Bacteria Isolated From Animals; Second Informational Supplement. (MG Papich, Chairholder of Subcommittee) | CLSI document VET01-S2. Wayne, PA: Clinical and Laboratory Standards Institute; 2013CLSI. (2013) Drug therapy for diseases of the central nervous system [ chapter 23].Papich MG. | In: Platt SR & Olby NJ (editors): BSAVA Manual of Canine and Feline Neurology, 4th Edition. British Small Animal Veterinary Association, Gloucester, pages 452-469, 2013. (2013) Antimicrobial drugs [Chapter 39].Papich MG. | In: Washabau RJ & Day MJ, editors, Canine and Feline Gastroenterology. Elsevier Saunders, St. Louis, Missouri, pages 471-476, 2013. (2012) Selection of antibiotics for meticillin-resistant Staphylococcus pseudintermedius: time to revisit some old drugs?Papich MG. | Veterinary Dermatology. Aug;23(4):352-60, 2012. doi: 10.1111/j.1365-3164.2011.01030.x. (2012) Ciprofloxacin pharmacokinetics and oral absorption of generic ciprofloxacin tablets in dogs.Papich MG. | American Journal of Veterinary Research 73(7): 1085-1091, 2012. (2012) Ronidazole pharmacokinetics in cats following delivery of a delayed-release guar gum formulation.Papich MG, Levine DN, Gookin JL, Davidson GS, Stagner WC, Hayes RB. | Journal of Veterinary Pharmacology and Therapeutics doi: 10.1111/jvp.12019. [Epub ahead of print] PMID: 23106427, 2012. (2012) The pharmacokinetics of midazolam after intravenous, intramuscular, and rectal administration in healthy dogs.Schwartz M, Muñana KR, Nettifee-Osborne JA, Messenger KM, & Papich MG. | Journal of Veterinary Pharmacology and Therapeutics doi: 10.1111/jvp.12032. [Epub ahead of print] PMID: 23256899. 2012. (2012) Dosing Regimen Matters: The Importance of Early Intervention and Rapid Attainment of the PK/PD Target.Martinez MN, Papich MG, Drusano GL. 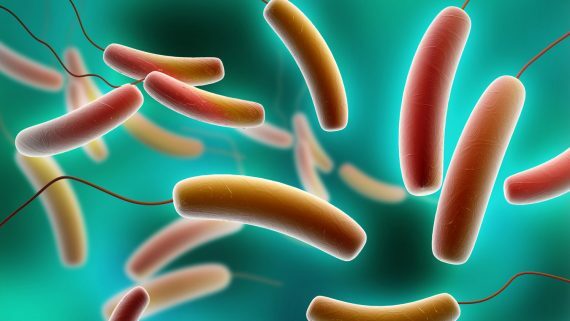 | Antimicrobial Agents and Chemotherapy. Jun;56(6):2795-805, 2012. doi: 10.1128/AAC.05360-11.PMID: 22371890. (2012) Solubility criteria for veterinary drugs.Apley M, Crist B, Gonzalez MA, Hunter RP, Martinez MN, Modric S, Papich MG, Parr AF, Riviere JE, & Marques MRC. | Stimuli Article. United States Pharmacopeia, Pharmacopeial Forum (PF), 2012. (2012) Single-dose pharmacokinetics of ceftazidime and fluconazole during concurrent clinical use in cold-stunned Kemp's ridley turtles (Lepidochelys kempii).Innis CJ, Ceresia ML, Merigo C, Scott Weber E 3rd, Papich MG. | Journal of Veterinary Pharmacology & Therapeutics 2012 Feb;35(1):82-9. doi: 10.1111/j.1365-2885.2011.01290. (2011) Pharmacokinetics of diminazene diaceturate in healthy cats. Lewis KM, Cohn LA, Birkenheuer AJ, Papich MG. | Journal of Veterinary Pharmacology & Therapeutics 2011 Dec 29. doi: 10.1111/j.1365-2885.2011.01359. (2011) Pharmacokinetics of orally administered phenobarbital in African grey parrots (Psittacus erithacus erithacus).Powers LV, Papich MG. | Journal of Veterinary Pharmacology & Therapeutics 2011 Dec;34(6):615-7. doi: 10.1111/j.1365-2885.2011.01279. (2011) Leflunomide pharmacokinetics after single oral administration to dogs. Singer LM, Cohn LA, Reinero CR, Papich MG. | Journal of Veterinary Pharmacology & Therapeutics 2011 Dec;34(6):609-11. doi: 10.1111/j.1365-2885.2011.01275. (2011) Pharmacokinetics and distribution of minocycline in mature horses after oral administration of multiple doses and comparison with minimum inhibitory concentrations. Schnabel LV, Papich MG, Divers TJ, Altier C, Aprea MS, McCarrel TM, Fortier LA. | Equine Veterinary Journal 2011 Sep 25. doi: 10.1111/j.2042-3306.2011.00459. (2011) Distribution of enrofloxacin and its active metabolite, using an in vivo ultrafiltration sampling technique after the injection of enrofloxacin to pigs.Messenger KM, Papich MG, Blikslager AT. | Journal of Veterinary Pharmacology & Therapeutics 2011 Sep 14. doi: 10.1111/j.1365-2885.2011.01338. (2011) Florfenicol pharmacokinetics in healthy adult alpacas after subcutaneous and intramuscular injection.Holmes K, Bedenice D, Papich MG. | Journal of Veterinary Pharmacology & Therapeutics 2011 Jul 8. doi: 10.1111/j.1365-2885.2011.01323. (2011) In vitro elution of amikacin and ticarcillin from a resorbable, self-setting, fiber reinforced calcium phosphate cement.Watts AE, Nixon AJ, Papich MG, Sparks HD, Schwark WS. | Veterinary Surgery 2011 Jul;40(5):563-70. doi: 10.1111/j.1532-950X.2011.00831. (2011) Antimicrobial use guidelines for treatment of urinary tract disease in dogs and cats: antimicrobial guidelines working group of the international society for companion animal infectious diseases.Weese JS, Blondeau JM, Boothe D, Breitschwerdt EB, Guardabassi L, Hillier A, Lloyd DH, Papich MG, Rankin SC, Turnidge JD, Sykes JE. | Veterinary Medicine International Epub 2011 Jun 27. PMCID: PMC3134992; PMID: 21776346 [PubMed] doi:10.4061/2011/263768. (2011) Plasma concentrations of fluconazole after a single oral dose and administration in drinking water in cockatiels (Nymphicus hollandicus).Ratzlaff K, Papich MG, Flammer K. | Journal of Avian Medicine and Surgery 2011 Mar;25(1):23-31. (2010) Pharmacodynamic and pharmacokinetic evaluation of clopidogrel and the carboxylic acid metabolite SR 26334 in healthy dogs.Brainard BM, Kleine SA, Papich MG, Budsberg SC. | American Journal of Veterinary Research 2010 Jul;71(7):822-30. PMID: 20594086. (2010) Evaluation of pharmacokinetic-pharmacodynamic relationships for BioRelease meloxicam formulations in horses.Burns PJ, Morrow C, Gilley RM, Papich MG. | Journal of Equine Veterinary Science 30(10): 539-544, 2010. (2010) Antibacterial Drug Therapy, Chapter 154.Papich MG. | In: Ettinger SJ, Feldman EC (editors). Textbook of Veterinary Internal Medicine, 7th Edition, Saunders Elsevier, publishers, St. Louis, Missouri, USA 2010; pp 589-595. 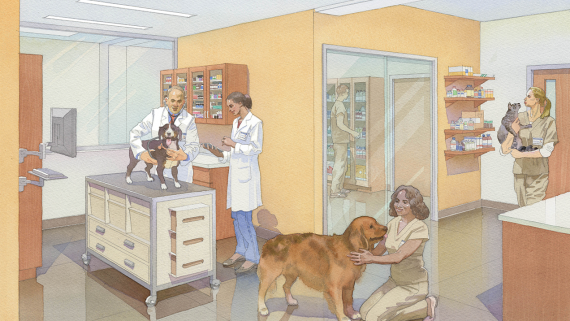 (2010) Exploration of developmental approaches to companion animal antimicrobials: providing for the unmet therapeutic needs of dogs and cats.Apley M, Claxton R, Davis C, I. Deveau, J. Donecker, A. Lucas, A. Neal, & M. Papich. | Journal of Veterinary Pharmacology and Therapeutics 33(2): 196-201, 2010. (2010) Orally administered doxycycline accumulates in synovial fluid compared to plasma.Schnabel LV, Papich MG, Watts AE, et al. | Equine Veterinary Journal 42 (3): 208-212; 2010. (2010) Levetiracetam pharmacokinetics in healthy dogs following oral administration of single and multiple doses.Moore SA, Muñana KR, Papich MG, Nettifee-Osborne J. | American Journal of Veterinary Research 71 (3): 337-341, 2010. PMID: 20187836. (2010) Pharmacokinetics of voriconazole after oral administration of single and multiple doses in Hispaniolan Amazon parrots (Amazona ventralis)Sanchez-Migallon Guzman D, Flammer K, Papich MG, Grooters AM, Shaw S, Applegate J, Tully TN. | Am J Vet Res. 2010 Apr;71(4):460-7. PMID: 20367055. (2010) Molecular mechanisms of Bartonella henselae resistance to azithromycin, pradofloxacin and enrofloxacin.Biswas S, Maggi RG, Papich MG, Breitschwerdt EB. | J Antimicrob Chemother. 2010 Mar;65(3):581-2. PMID: 20022937. (2010) Comparative activity of pradofloxacin, enrofloxacin, and azithromycin against Bartonella henselae isolates collected from cats and a human.Biswas S, Maggi RG, Papich MG, Keil D, Breitschwerdt EB. | J Clin Microbiol. 2010 Feb;48(2):617-8.PMID: 20007401. (2009) Sodium bromide injection, veterinary and Sodium bromide oral solution, veterinary.MG Papich, Sponsor of two monographs: | USP (United States Pharmacopeia) Pharmacist’s Pharmacopeia. 2009. United States Pharmacopeia, Rockville, Maryland, USA. (2009) Chapter 1. Veterinary Pharmacology: An Introduction to the Discipline.Jim E. Riviere & Mark G. Papich. | In: Riviere JE and Papich MG (Editors). Veterinary Pharmacology and Therapeutics, 9th Edition. Wiley-Blackwell Publishing, Ames, Iowa, USA 1524 pages; 2009. (2009) Chapter 12. Opioid Analgesic Drugs.Butch KuKanich & Mark G. Papich. | In: Riviere JE and Papich MG (Editors). Veterinary Pharmacology and Therapeutics, 9th Edition. Wiley-Blackwell Publishing, Ames, Iowa, USA. 1524 pages; 2009. (2009) Appendix I, Table of Common Drugs: Approximate Dosages.Papich MG, Consulting Editor, | In: Bonagura JD & Twedt DC (Editors), Kirk’s Current Veterinary Therapy XIV, Saunders-Elsevier, page 1306-1334; 2009. (2009) Chapter 20. Anticonvulsant Drugs.Mark G. Papich. | In: Riviere JE and Papich MG (Editors). Veterinary Pharmacology and Therapeutics, 9th Edition. Wiley-Blackwell Publishing, Ames, Iowa, USA. 1524 pages; 2009. (2009) Chapter 21. Drugs Affecting Animal Behavior.Barbara L. Sherman & Mark G. Papich. | In: Riviere JE and Papich MG (Editors). Veterinary Pharmacology and Therapeutics, 9th Edition. Wiley-Blackwell Publishing, Ames, Iowa, USA. 1524 pages; 2009. (2009) Chapter 33. Sulfonamides and Potentiated Sulfonamides.Mark G. Papich & Jim E. Riviere. | In: Riviere JE and Papich MG (Editors). Veterinary Pharmacology and Therapeutics, 9th Edition. Wiley-Blackwell Publishing, Ames, Iowa, USA. 1524 pages; 2009. (2009) Chapter 34. Beta-Lactam Antibiotics: Penicillins, Cephalosporins, and Related Drugs.Mark G. Papich & Jim E. Riviere. | In: Riviere JE and Papich MG (Editors). Veterinary Pharmacology and Therapeutics, 9th Edition. Wiley-Blackwell Publishing, Ames, Iowa, USA. 1524 pages; 2009. (2009) Chapter 35. Tetracycline Antibiotics.Mark G. Papich & Jim E. Riviere. | In: Riviere JE and Papich MG (Editors). Veterinary Pharmacology and Therapeutics, 9th Edition. Wiley-Blackwell Publishing, Ames, Iowa, USA. 1524 pages; 2009. (2009) Chapter 36. Aminoglycoside Antibiotics.Mark G. Papich & Jim E. Riviere. | In: Riviere JE and Papich MG (Editors). Veterinary Pharmacology and Therapeutics, 9th Edition. Wiley-Blackwell Publishing, Ames, Iowa, USA. 1524 pages; 2009. (2009) Chapter 37. Chloramphenicol and Derivatives, Macrolides, Lincosamides, and Miscellaneous Antimicrobials.Mark G. Papich & Jim E. Riviere. | In: Riviere JE and Papich MG (Editors). Veterinary Pharmacology and Therapeutics, 9th Edition. Wiley-Blackwell Publishing, Ames, Iowa, USA. 1524 pages; 2009. (2009) Chapter 38. Fluoroquinolone Antimicrobial Drugs.Mark G. Papich & Jim E. Riviere. | In: Riviere JE and Papich MG (Editors). Veterinary Pharmacology and Therapeutics, 9th Edition. Wiley-Blackwell Publishing, Ames, Iowa, USA. 1524 pages; 2009. (2009) Chapter 39. Antifungal and Antiviral Drugs.Jennifer L. Davis, Mark G. Papich, & Mark C. Heit. | In: Riviere JE and Papich MG (Editors). Veterinary Pharmacology and Therapeutics, 9th Edition. Wiley-Blackwell Publishing, Ames, Iowa, USA. 1524 pages; 2009. (2009) Chapter 46. Immunosuppressive Drugs and Cyclosporine.Mark G. Papich. | In: Riviere JE and Papich MG (Editors). Veterinary Pharmacology and Therapeutics, 9th Edition. Wiley-Blackwell Publishing, Ames, Iowa, USA. 1524 pages; 2009. (2009) Chapter 47. Drugs Affecting Gastrointestinal Function.Mark G. Papich. | In: Riviere JE and Papich MG (Editors). Veterinary Pharmacology and Therapeutics, 9th Edition. Wiley-Blackwell Publishing, Ames, Iowa, USA. 1524 pages; 2009. (2009) Chapter 49. Drugs that Affect the Respiratory System.Mark G. Papich. | In: Riviere JE and Papich MG (Editors). Veterinary Pharmacology and Therapeutics, 9th Edition. Wiley-Blackwell Publishing, Ames, Iowa, USA. 1524 pages; 2009. (2009) Chapter 51. Therapeutic Drug Monitoring.Mark G. Papich. | In: Riviere JE and Papich MG (Editors). Veterinary Pharmacology and Therapeutics, 9th Edition. Wiley-Blackwell Publishing, Ames, Iowa, USA. 1524 pages; 2009. (2009) Drugs Affecting Animal Behavior,Sherman BL, Papich M. | In Veterinary Pharmacology and Therapeutics, 9th edition (Papich MG, Rivier JE, editors), Ames IA: Wiley-Blackwell, 2009;509-538. (2009) Assessment of clotrimazole gels for in vitro stability and in vivo retention in the frontal sinus of dogs.Mathews KG, Linder KE, Davidson GS, Goldman RB, Papich MG. | American Journal of Veterinary Research 2009 May;70(5):640-7.PMID: 19405904. (2009) Pharmacokinetics of an immediate and extended release oral morphine formulation utilizing the spheroidal oral drug absorption system in dogs.Aragon CL, Read MR, Gaynor JS, Barnhart MD, Wilson D, Papich MG. | Journal of Veterinary Pharmacology & Therapeutics 2009 Apr;32(2):129-136. PMID: 19290942. (2009) Factors influencing the gastric residence of dosage forms in dogs.Martinez MN, Papich MG. | Journal of Pharmaceutical Sciences. 2009 Mar;98(3):844-60. Review. PMID: 18661535. (2009) Soy-derived isoflavones inhibit the growth of canine lymphoid cell lines.Jamadar-Shroff V, Papich MG, Suter SE. | Clinical Cancer Research 2009 Feb 15;15(4):1269-1276. PMID: 19228730. (2009) Effects of compounding and storage conditions on stability of pergolide mesylate.Davis JL, Kirk LM, Davidson GS, Papich MG. | Journal of the American Veterinary Medical Association 2009 Feb 1;234(3):385-389. PMID: 19210262. (2009) Single-dose pharmacokinetics and genotoxicity of metronidazole in cats.Sekis I, Ramstead K, Rishniw M, Schwark WS, McDonough SP, Goldstein RE, Papich M, Simpson KW. | Journal of Feline Medicine & Surgery 2009 Feb;11(2):60-8. Epub 2009 Jan 19. PMID: 19155181. (2008) Comparison of the pharmacokinetic properties of bisoprolol and carvedilol in healthy dogs.Beddies G, Fox PR, Papich MG, Kanikanti VR, Krebber R, Keene BW. | American Journal of Veterinary Research 2008 Dec;69(12):1659-63. PMID: 19046015. (2008) Pharmacokinetics of butorphanol in cats after intramuscular and buccal transmucosal administration.Wells SM, Glerum LE, Papich MG. | American Journal of Veterinary Research 2008 Dec;69(12):1548-54. PMID: 19045999. (2008) Pharmacokinetics of butorphanol and evaluation of physiologic and behavioral effects after intravenous and intramuscular administration to neonatal foals.Arguedas MG, Hines MT, Papich MG, Farnsworth KD, Sellon DC. | Journal of Veterinary Internal Medicine 2008 Nov-Dec;22(6):1417-26. PMID: 18976284. (2008) An update on nonsteroidal anti-inflammatory drugs (NSAIDs) in small animals.Papich MG. | Veterinary Clinics of North America Small Animal Practice. 2008 Nov;38(6):1243-66, PMID: 18954683. (2008) Pharmacokinetics of florfenicol in serum and synovial fluid after regional intravenous perfusion in the distal portion of the hind limb of adult cows.Gilliam JN, Streeter RN, Papich MG, Washburn KE, Payton ME. | American Journal of Veterinary Research 2008 Aug;69(8):997-1004. PMID: 18672962. (2008) Pharmacokinetics and physiological effects of intravenous hydromorphone in conscious dogs.Guedes AG, Papich MG, Rude EP, Rider MA. | Journal of Veterinary Pharmacology and Therapeutics 2008 Aug;31(4):334-43. PMID: 18638294. (2008) Pharmacokinetics of cetirizine in healthy cats.Papich MG, Schooley EK, & Reinero CR. | American Journal of Veterinary Research 69: 670-674, 2008. (2008) Clinical Laboratory Standards Institute (CLSI), Performance Standards for Antimicrobial Disk and Dilution Susceptibiltiy Tests for Bacteria Isolated from AnimalsMG Papich, Co-author of third edition, and member of subcommittee, 2008. | approved Standard – M31-A3, Third Edition, Volume 28, Number 8. (2008) Guidelines for antimicrobial use in dogs and cats (Chapter 11).Guardabassi L, Houser GA, Frank LA, & Papich MG. | In: Guardabassi L, Jensen LB, Kruse H (Editors). 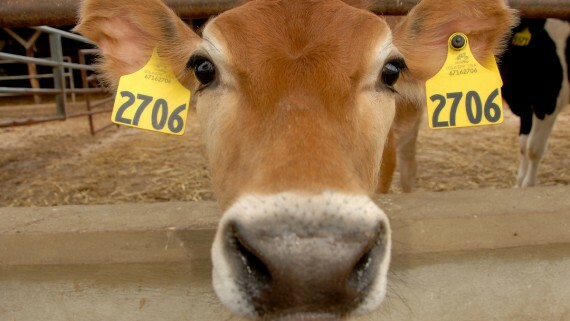 Guide to Antimicrobial Use in Animals. Blackwell Publishing, LTD, 2008. (2008) Clinical Laboratory Standards Institute (CLSI), Development of in vitro Susceptibility Testing Criteria and Quality Control Parameters for Veterinary Antimicrobial AgentsMG Papich, Co-author of third edition, and member of subcommittee, 2008. | Approved Guideline – Third Edition. M37-A3. Volume 28, Number 7. (2007) Pharmacokinetics and tissue distribution of enrofloxacin and its active metabolite ciprofloxacin in calves.Davis JL, Foster DM, Papich MG. | Journal of Veterinary Pharmacology and Therapeutics 2007 Dec;30(6):564-71. PMID: 17991225. (2007) Comparison of plasma histamine levels after intravenous administration of hydromorphone and morphine in dogs.Guedes AG, Papich MG, Rude EP, Rider MA. | Journal of Veterinary Pharmacology and Therapeutics 2007 Dec;30(6):516-22. PMID: 17991219. (2007) Performance of the 808-nm diode laser on equine upper airway tissue is enhanced by intravenous administration of indocyanine green.Tate LP, Blikslager AT, Papich MG. | Photomed Laser Surg. 2007 Oct;25(5):443-8. PMID: 17975959. (2007) Efficacy of tinidazole for treatment of cats experimentally infected with Tritrichomonas foetus.Gookin JL, Stauffer SH, Coccaro MR, Poore MF, Levy MG, Papich MG. | American Journal of Veterinary Research 2007 Oct;68(10):1085-8. PMID: 17916015. (2007) Pharmacokinetics of an extended-release theophylline product in cats.Guenther-Yenke CL, McKiernan BC, Papich MG, Powell E. | Journal of the American Veterinary Medical Association 2007 Sep 15;231(6):900-6. PMID: 17867974. (2007) Use of basal serum or plasma cortisol concentrations to rule out a diagnosis of hypoadrenocorticism in dogs: 123 cases (2000-2005).Lennon EM, Boyle TE, Hutchins RG, Friedenthal A, Correa MT, Bissett SA, Moses LS, Papich MG, Birkenheuer AJ | Journal of the American Veterinary Medical Association 2007 Aug 1;231(3):413-6. PMID: 17669044. (2007) Blackwell’s Five-Minute Consult Drug Formulary. Appendix IX.Papich MG. | In: Tilley LP & Smith FWK Jr. (editors) Blackwell’s Five Minute Veterinary Consult, Fourth Edition. Blackwell Publishing, Page 1467-1531. 2007. (2007) Drug Interactions (Chapter 16).Papich MG. | In: Tranquilli WJ, Thurmon JC, & Grimm KA (eds), Lumb & Jones’ Veterinary Anesthesia and Analgesia; Blackwell Publishing, Ames, Iowa, 2007, page 439-450. (2007) Antimicrobial therapy (Chapter 71).Papich MG, and Davis JL. | In: Sellon DC& Long MT (editors) Equine Infectious Diseases. Elsevier Saunders, St. Louis, Missouri. page 578-591, 2007. (2007) Pharmacokinetics and physiological effects of two intravenous infusion rates of morphine in conscious dogs.Guedes AG, Papich MG, Rude EP, Rider MA. | Journal of Veterinary Pharmacology and Therapeutics 2007 Jun;30(3):224-33. PMID: 17472654. (2007) Pharmacokinetics of metronidazole in the red-eared slider turtle (Trachemys scripta elegans) after single intracoelomic injection.Innis C, Papich M, Young D. | Journal of Veterinary Pharmacology and Therapeutics 30: 168-171, 2007. (2007) Naive averaged, naive pooled, and population pharmacokinetics of orally administered marbofloxacin in juvenile harbor seals.Kukanich B, Huff D, Riviere JE, Papich MG. | J Am Vet Med Assoc. 2007 Feb 1;230(3):390-5. PMID: 17269873. (2007) Pharmacokinetics of etodolac in the horse following oral and intravenous administration.Davis JL, Papich MG, Morton AJ, Gayle J, Bilkslager AT, Campbell NB. | Journal of Veterinary Pharmacology and Therapeutics 2007 Feb;30(1):43-8. PMID: 17217400 . (2007) Pharmacokinetics and pharmacodynamics of morphine in llamas.Uhrig SR, Papich MG, Kukanich B, Mama KR, Wagner AE, Chapman PL, Hellyer PW. | American Journal of Veterinary Research 2007 Jan;68(1):25-34. PMID: 17199415. (2006) Bone marrow hypoplasia secondary to florfenicol toxicity in a Thomson's gazelle (Gazella thomsonii).Tuttle AD, Papich MG, Wolfe BA. | Journal of Veterinary Pharmacology and Therapeutics 2006 Aug;29(4):317-9. PMID: 16846470. (2006) Pharmacokinetics of voriconazole after oral and intravenous administration to horses.Davis JL, Salmon JH, Papich MG. | American Journal of Veterinary Research 2006 Jun;67(6):1070-5. PMID: 16740104. (2006) Single-dose intravenous and oral pharmacokinetics of enrofloxacin in goral (Nemorrhaedus goral arnouxianus).Gandolf AR, Papich MG, Bringardner AB, Atkinson MW. | J Zoo Wildl Med. 2006 Jun;37(2):145-50. PMID: 17312793. (2006) Drug therapy in cats: Precautions and guidelines.Papich MG. | In: August J.R. (editor), Consultations in Feline Internal Medicine, Elsevier Saunders, St. Louis, MO. Chapter 31. page 279-290, 2006. (2006) Pharmacokinetics and tissue distribution of doxycycline after oral administration of single and multiple doses in horses.Davis JL, Salmon JH, Papich MG. | American Journal of Veterinary Research 2006 Feb;67(2):310-6. PMID: 16454638. (2005) Pharmacokinetics of oral omeprazole in llamas.Poulsen KP, Smith GW, Davis JL, & Papich MG. | Journal of Veterinary Pharmacology and Therapeutics 2005 Dec;28(6):539-543, 2005. (2005) Use of a von Frey device for evaluation of pharmacokinetics and pharmacodynamics of morphine after intravenous administration as an infusion or multiple doses in dogs. KuKanich B, Lascelles BD, & Papich MG. | American Journal of Veterinary Research Nov;66(11):1968-1974, 2005. (2005) Pharmacokinetics of a single dose of enrofloxacin administered orally to captive Asian elephants (Elephas maximus).Sanchez CR, Murray SZ, Isaza R, & Papich MG. | American Journal of Veterinary Research Nov;66(11):1948-1953, 2005. (2005) The effects of inhibiting cytochrome P450 3A, p-glycoprotein, and gastric acid secretion on the oral bioavailability of methadone in dogs.Kukanich B, Lascelles BD, Aman AM, Mealey KL, & Papich MG. | Journal of Veterinary Pharmacology and Therapeutics Oct;28(5):461-466, 2005. (2005) Pharmacokinetics and tissue distribution of itraconazole after oral and intravenous administration to horses.Davis JL, Salmon JH, & Papich MG. | American Journal of Veterinary Research Oct;66(10):1694-1701, 2005. (2005) Pharmacokinetics and tissue fluid distribution of cephalexin in the horse after oral and i.v. administration.Davis JL, Salmon JH, & Papich MG. | Journal of Veterinary Pharmacology and Therapeutics Oct;28(5):425-431, 2005. (2005) Assessment of a von Frey device for evaluation of the antinociceptive effects of morphine and its application in pharmacodynamic modeling of morphine in dogs.KuKanich B, Lascelles BD, & Papich MG. | American Journal of Veterinary Research Sep;66(9):1616-1622, 2005. (2005) Drug compounding for veterinary patients.Papich MG. | AAPS Journal (American Association of Pharmaceutical Scientists). 2005 Sep 22;7(2):E281-287. 2005. (2005) Plasma and interstitial fluid pharmacokinetics of enrofloxacin, its metabolite ciprofloxacin, and marbofloxacin after oral administration and a constant rate intravenous infusion in dogs.Bidgood TL, & Papich MG. (Papich corresponding author) | Journal of Veterinary Pharmacology and Therapeutics Aug;28(4):329-341, 2005. (2005) American College of Veterinary Internal Medicine. Antimicrobial drug use in veterinary medicine.Morley PS, Apley MD, Besser TE, Burney DP, Fedorka-Cray PJ, Papich MG, Traub-Dargatz JL, Weese JS; | ACVIM Consensus Statement. Journal of Veterinary Internal Medicine Jul-Aug;19(4):617-629, 2005. (2005) Pharmacokinetics of acyclovir in adult horses.Wilkins PA, Papich MG, & Sweeney RW. | Journal of Veterinary Emergency and Critical Care 15(3): 174-178, 2005. (2005) Pharmacokinetics and safety of acyclovir in Tragopans (Tragopan species).Rush EM, Hunter RP, Papich MG, Raphael RL, Calle RP, Clippinger TL & Cook RA. | Journal of Avian Medicine and Surgery 19(4): 271-276, 2005. (2005) Validation of a high-pressure liquid chromatography and fluorescence polarization immunoassay for the determination of methadone in canine plasma.KuKanich B, X Lascelles BD, & Papich MG. | Therapeutic Drug Monitoring Jun;27(3):389-392, 2005. (2005) Pharmacokinetics of florfenicol in the red pacu (Piaractus brachypomus) after single dose intramuscular administration.Lewbart GA, Papich MG, & Whitt-Smith D. | J Vet Pharmacol Ther 2005 Jun;28(3):317-9. (2005) Veterinary Pharmaceuticals: Factors Influencing their Development and Use.Martinez MN. Hungerford L, & Papich MG. | Encyclopedia of Pharmaceutical Technology Taylor & Francis, publishers. 2005. (2005) Antimicrobial Drug Therapy.Papich MG & Bidgood T. | In: Ettinger SJ, Feldman EC, (eds) Textbook of Veterinary Internal Medicine: Diseases of the Dog and Cat 6th Edition, Chapter 135, pp. 498-502, Elsevier Saunders, St. Louis, Missouri. 2005. (2005) Evaluation of transdermal application of glipizide in a pluronic lecithin gel to healthy cats.Bennett N, Papich MG, Hoenig M, Fettman MJ, & Lappin MR. | American Journal of Veterinary Research Apr;66(4):581-588, 2005. (2005) Evaluation of a method of intracoelomic catheterization in koi.Lewbart GA, Butkus DA, Papich MG, Coleman AK, Krum HN, Noga EJ. | J Vet Med Assoc 2005 Mar 1;226(5):784-8. (2004) Pharmacokinetics and pharmacodynamics of furosemide after oral administration to horses.Johansson AM, Gardner SY, Levine JF, Papich MG, LaFevers DH, Goldmann RB, Sheats MK, Atkins CE. | Journal of Veterinary Internal Medicine Vol. 18, No. 5, 739-743. (2004) Veterinary application of in vitro dissolution data and the Biopharmaceutics Classification System. Stimuli to the Revision Process.Martinez MN, Papich MG, Riviere JE. | Pharmacopeial Forum (United States Pharmacopeial Convention) 30(6): [Nov-Dec], 2-10, 2004. (2004) Plasma profile and pharmacokinetics of dextromethorphan after intravenous and oral administration in healthy dogs.Kukanich B, Papich MG. | Journal of Veterinary Pharmacology and Therapeutics Oct; 27(5):337-341, 2004. (2004) Pharmacokinetics of enrofloxacin after single-dose oral and intravenous administration in the American alligator (Alligator mississippiensis).Helmick KE, Papich MG, Vliet KA, Bennett RA, Jacobson ER. | Journal of Zoo and Wildlife Medicine 2004 Sep;35(3):333-40. (2004) The relationship between susceptibility testing and efficacy.Papich MG. | NAVC Clinician’s Brief. 45-47, August 2004. (2004) Pharmacokinetic Disposition of a Long-Acting Oxytetracycline Formulation After Single-Dose Oral and Intravenous Administrations in the American Alligator (Alligator mississippiensis).Helmick, K., M. G. Papich, K. A. Vliet, R. A. Bennett, E. R. Jacobson | Journal of Zoo and Wildlife Medicine 35(3): 341-346. (2004) Pharmacokinetics of tramadol and the metabolite O-desmethyl tramadol in dogs.KuKanich B, Papich MG. | Journal of Veterinary Pharmacology and Therapeutics 27: 1-8, 2004. (2004) Pharmacokinetics of enrofloxacin in neonatal kittens.Seguin MA, Papich MG, Sigle KJ, Gibson NM, Levy JK. | American Journal of Veterinary Research 65: 350-356, 2004. (2004) Effects of continuous rate intravenous infusion of butorphanol on physiologic and outcome variables in horses after celiotomy.Sellon DC, Roberts MC, Blikslager AT, Ulibarri C, Papich MG. | Journal of Veterinary Internal Medicine 18 (4): 555-563, 2004. (2004) Comparison of Amikacin Pharmacokinetics in a Killer Whale (Orcinus Orca) and a Beluga Whale (Delphinapterus Leucas).KuKanich, B. , M. Papich,, D. Huff, and M. K. Stoskopf | Journal of Zoo and Wildlife Medicine 35(2): 179-184, 2004. (2004) Characterization of the pharmacokinetic and pharmacodynamic properties of the angiotensin-converting enzyme inhibitor, enalapril, in horses.Gardner SY, Atkins CE, Sams RA, Schwabenton AB, and Papich MG. | Journal of Veterinary Internal Medicine 18: 231-237, 2004. (2004) Pharmacokinetics of oxytetracycline in loggerhead sea turtles (Caretta caretta) after single intravenous and intramuscular injections.Harms, CA., Papich MG , Stamper MA, Ross PM, Rodriguez MX, and Hohn AA. | Journal of Zoo and Wildlife Medicine 35(4):477-488. (2004) Allometric analysis of ciprofloxacin and enrofloxacin pharmacokinetics across species.Cox SK, Cottrell MB, Smith L, Papich MG, Frazier DL, and Bartges J. | Journal of Veterinary Pharmacology and Therapeutics 27: 139-146, 2004. (2004) Evaluation of the bioavailability and pharmacokinetics of two extended-release theophylline formulations in dogs.Bach JE, Kukanich B, Papich MG, McKiernan BC. | Journal of the American Veterinary Medical Association 2004 Apr 1;224(7):1113-9. (2004) Moxifloxacin pharmacokinetics in horses and disposition into phagocytes after oral dosing.Gardner SY, Davis JL, Jones SL, LaFevers DH, Hoskins MS, McArver EM, Papich MG. | Journal of Veterinary Pharmacology and Therapeutics 2004 Feb;27(1):57-60. (2003) Antimicrobial therapy for gastrointestinal diseases.Papich MG. | Veterinary Clinics of North America: Equine Practice 2003 Dec;19(3):645-63, vi. Review. (2003) Comparison of injectable versus oral enrofloxacin pharmacokinetics in Red-eared slider turtles, Trachemys scripta elegans.James SB, Calle PP, Raphael BL, Papich M, Breheny J, & Cook RA. | Journal of Herpetological Medicine and Surgery 13 (1): 5-10, 2003. (2003) Furosemide continuous rate infusion in the horse: evaluation of enhanced efficacy and reduced side effects.Johansson AM, Gardner SY, Levine JF, Papich MG, LaFevers DH, Fuquay LR, Reagan VH, and Atkins CE. | Journal of Veterinary Internal Medicine 2003; 17: 887-895. (2003) Pharmacologic management in behavioral medicine.Simpson BS, Papich MG. | Veterinary Clinics Small Animal Practice 2003; 33: 365-404. (2003) Antimicrobial Therapy for HorsesPapich MG. In Robinson NE (Editor) | Chapter 1.2 Current Therapy in Equine Medicine 5th Edition, page 6-10, 2003. (2003) Antimicrobial Therapy for Horses. Chapter 1.2Papich MG. | In: Robinson NE (Editor). Current Therapy in Equine Medicine, 5th Edition page 6-10, 2003. (2003) Once-daily Aminoglycoside Dosing Regimens. Chapter 17.11Geor RJ & Papich MG. | In: Robinson NE (Editor). Current Therapy in Equine Medicine, 5th Edition page 850-853, 2003. (2003) Comparison of plasma and interstitial fluid concentrations of doxycycline and meropenem following constant rate intravenous infusion in dogs.Bidgood T, Papich MG. | American Journal of Veterinary Research 64: 1040-1046, 2003. (2003) Pharmacologic management in veterinary behavioral medicineSimpson BS, Papich MG. | Vet Clin N Am-Small 2003;33(2):365-404. (2002) Pharmacokinetics after intravenous and oral administration of enrofloxacin in sheep.Bermngham EC, Papich MG. | American Journal of Veterinary Research 63: 1012-1017, 2002. (2002) Plasma pharmacokinetics and tissue fluid concentrations of meropenem after intravenous and subcutaneous administration in dogs.Bidgood T, Papich MG. | American Journal of Veterinary Research 2002;63(12):1622-1628. (2002) Pharmacokinetics and endometrial tissue concentrations of enrofloxacin and the metabolite ciprofloxacin after IV administration of enrofloxacin to maresPapich, M.G., VanCamp, S.D., Cole, J., and Whitacre, M.D | Journal of Veterinary Pharmacology and Therapeutics 25: 343-350, 2002. (2002) Pharmacokinetics of fluconazole in loggerhead sea turtles (Caretta caretta) after single intravenous and subcutaneous injections, and multiple subcutaneous injectionsMallo KM, Harms CA, Lewbart GA, and Papich MG | Journal of Zoo and Wildlife Medicine 33: 29-35, 2002. (2002) Pharmacokinetics of azithromycin in foals after iv and oral dose and disposition into phagocytes.Davis, J.L., Gardner, S.Y., Jones, S.L., Schwabenton, B.A., and Papich, M.G. | Journal of Veterinary Pharmacology and Therapeutics 25: 99-104, 2002. (2001) Comparison of cefepime pharmacokinetics in neonatal foals and adult dogs.Gardner, S.Y., Papich, M.G. | Journal of Veterinary Pharmacology and Therapeutics 24: 187-192, 2001. (2001) Experimental infection of cats with Tritrichomonas foetusGookin, J.L., Levy, M.G., Law, J.M., Papich, M.G., Poore, M.F., and Breitschwerdt, E.B. | American Journal of Veterinary Research 62: 1690-1697, 2001. (2001) Pharmacokinetics of fluconazole following intravenous and oral administration and body fluid concentrations of fluconazole following repeated oral dosing in horses.Latimer, F.G., Colitz, C.M.H., Campbell, N.B., Papich, M.G. | American Journal of Veterinary Research 62: 1606-1611, 2001. (2001) Use of adult cat serum to correct failure of passive transfer in kittens.Levy, J.K., Crawford, P.C., Collante, W.R., and Papich, M.G. | Journal of the American Veterinary Medical Association 219: 1401-1405, 2001. (2001) Pharmacokinetics and adverse effects of butorphanol administered by single intravenous injection or continuous intravenous infusion in horsesSellon, D.C., Monroe V.L., Roberts, M.C., & Papich M.G. | American Journal of Veterinary Research 2001; 62: 183-189. (2001) Potential and problems of developing transdermal patches for veterinary applications.Riviere, J.E., and Papich, M.G. | Advanced Drug Delivery Reviews 50: 175-203, 2001. (2001) Fluoroquinolone antimicrobial drugs, Chapter 45 (pp. 898-917)Papich, M.G. and Riviere JE. | In: H.R. Adams (ed) Veterinary Pharmacology and Therapeutics, 8th Edition Ames Iowa, Iowa State University Press. (2001) Chloramphenicol and derivatives, macrolides, lincosamides, and miscellaneous antimicrobials, Chapter 44. (pp 868-897)Papich, M.G. and Riviere JE. | In: H.R. Adams (ed) Veterinary Pharmacology and Therapeutics, 8th Edition Ames Iowa, Iowa State University Press. (2001) Adverse reactions to sulfonamide administration.Hopwood, R.M., Gookin, J.L. and Papich, M.G. | Compendium for Continuing Education for the Practicing Veterinarian 3(4): 5-12, 2001. (2000) Traditional antifungal dermatologic agents.De Jaham, C., Paradis, M., & Papich, M.G. | Compendium on Continuing Education for the Practicing Veterinarian. 2000; 22: 461-+. (2000) Antifungal dermatologic agents: Azoles and allylamines.De Jaham, C., Paradis, M., & Papich, M.G. | Compendium on Continuing Education for the Practicing Veterinarian. 2000; 22: 548-+. (2000) Antihistamines: current therapeutic use.M.G. Papich 2000. | In: J.D. Bonagura (ed) Kirk's Current Veterinary Therapy 13th Edition. Philadelphia, W.B. Saunders Company. pp. 48-53. (2000) Bacterial resistance.M.G. Papich, 2000. | In: J.D. Bonagura (ed) Kirk's Current Veterinary Therapy 13th Edition. Philadelphia, W.B. Saunders Company. pp. 262-267. (2000) Amoxicillin pharmacokinetics in harbor seals (Phoca vitulina) and northern elephant seals (Mirounga angustirostris) following single dose intravenous administration: implications for interspecific dose scalingGulland, F.M., Stoskopf, M.K. , Johnson, S.P., Riviere, J., & Papich, M.G. | Journal of Veterinary Pharmacology and Therapeutics 2000; 23: 223-228. (2000) Serum oxytetracycline concentrations in African elephant (Loxodonta africana) calves after long-acting formulation injection.Bush, M., Stoskopf, M.K., Raath, J.P., & Papich, M.G. | Journal of Zoo and Wildlife Medicine 2000; 31: 41-46. (2000) Comparison of pharmacokinetics of fentanyl after intravenous and transdermal administration in cats.Lee, D.D., Papich, M.G., Hardie, E.M. | American Journal of Veterinary Research 2000; 61: 672-677. (2000) Pharmacokinetics of enrofloxacin administered intravenously and orally to foals.Bermingham, E.C., Papich, M.G., & Vivrette, S.L. | American Journal of Veterinary Research 2000; 61: 706-709. (2000) Pharmacokinetics of gentamicin in mares in late pregnancy and early lactation.Santschi, E.M., & Papich, M.G. | Journal of Veterinary Pharmacology and Therapeutics 2000; 23: 359-363. (2000) Administration of ticarcillin in combination with clavulanic acid intravenously and intrauterinely to clinically normal estrous mares.Van Camp, S.D., Papich, M.G., & Whitacre, M.D. | Journal of Veterinary Pharmacology and Therapeutics 2000; 23: 373-378. (2000) Evaluation of ciprofloxacin as a representative of veterinary fluoroquinolones in susceptibility testing.Riddle, C., Lemons, C., Papich, M.G., and Altier, C | Journal of Clinical Microbiology 2000; 38: 1636-1637. (2000) Antimicrobial drugs, Chapter 74.Papich, M.G. | In: S.J. Ettinger and E.C. Feldman (eds) Textbook of Veterinary Internal Medicine, 5th Edition. 2000; pp. 301-307. (2000) Consulting Editor for Table of Common Drugs: Approximate Dosages.M.G. Papich, 2000. | In J.D. Bonagura (ed) Kirk's Current Veterinary Therapy 13th Edition. Philadelphia, W.B. Saunders Company. pp. 1241-1264. (1999) The use of fluoroquinolones in veterinary dermatology.Ihrke, P.J., Papich, M.G., and DeManuelle, T.C. | Veterinary Dermatology 10: 193-204. (1999) Pharmacokinetics of enrofloxacin in reptiles.Papich, M.G. 1999. | Compendium on Continuing Education for the Practicing Veterinarian 21 (12M): 110-114. (1999) Pharmacokinetics of ceftazidime in Loggerhead sea turtles (Caretta caretta) after single intravenous and intramuscular injections.M. A. Stamper, Papich, M.G., G.A. Lewbart, S.B. May, D. D. Plummer, and M. K. Stoskopf. | Journal of Zoo and Wildlife Medicine 30(1):32-35. (1999) Regional intravenous perfusion of the distal limb of horses with amikacin sulfate.Murphey, E.D, Santschi, E.M., and Papich, M.G. | Journal of Veterinary Pharmacology and Therapeutics 1999; 22:68-71. (1999) Efficacy of doxycycline, azithromycin, or trovafloxacin for treatment of experimental Rocky Mountain Spotted Fever in dogs.Breitschwerdt, E.B., Papich, M.G., Hegarty, B.C., Gilger, B., Hancock, S.I., and Davidson, M.G. | Antimicrobial Agents and Chemotherapy 1999; 43: 813-821. (1999) Gentamicin disposition and dosage determination of once daily administration of gentamicin sulfate in horses after abdominal surgeryTudor, R.A., Papich, M.G., and Redding, W.R. | Journal of the American Veterinary Medical Association 215(4): 503-506. (1999) Chronic and acute compressive spinal cord lesions in dogs due to intervertebral disc herniation are associated with elevation in lumbar cerebrospinal fluid glutamate concentrationOlby, N.J., Sharp, N.J.H. Munana, K.R., and Papich, M.G. | Journal of Neurotrauma 16(12): 1215-1224. (1999) Pharmacokinetics of ibuprofen after intravenous and oral administration and assessment of safety of administration to healthy foalsBreuhaus, B.A., DeGraves, F.J., Honore, E.K. and Papich, M.G. | American Journal of Veterinary Research 60 (9): 1066-1073. (1998) Antibacterial drug therapy: Focus on new drugs.M.G. Papich, 1998. | Veterinary Clinics of North America (Small Animal Practice) 28(2): 215-231. (1998) Population pharmacokinetics of gentamicin in horses.Martin-Jimenez, T., Papich M.G., and Riviere J.E. | American Journal of Veterinary Research 1998; 59: 1589-1598. (1998) Hematologic and serum biochemical variables and plasma corticotropin concentration in healthy aged horsesMcFarlane, D., Sellon, D.C., Gaffney, D., Hedgepeth, V., Papich, M., and Gibbs, S. | American Journal of Veterinary Research 1998; 59: 1247-1251. (1998) Depletion of penicillin G residues in tissues, plasma, and injection sites of market pigs injected intramuscularly with procaine penicillin GKorsrud, G.O., Salisbury, C.D.C., Rhodes, C.S., Papich, M.G., Yates, W.D.G., Bulmer, W.S., MacNeil, J.D., Landry, D.A., Lambert, G., Yong, M.S., and Ritters, L. | Food Additives and Contaminants 1998; 15: 421-426. (1997) Pharmacokinetics of cisapride in horses after intravenous and rectal administration.Cook G, Papich MG, Roberts MC, and Bowman KF, 1997. | American Journal of Veterinary Research 58(12): 1427-1430. (1997) Disposition of enrofloxacin and its metabolite ciprofloxacin after intramuscular injection in juvenile burmese pythons (Python molurus bivittatus).Young, L., J. Schumacher, M.G. Papich, E. Jacobson. | Journal of Zoo and Wildlife Medicine 1997; 28 (1): 71-79. (1997) Efficacy of enrofloxacin or doxycycline for treatment of Bartonella henselae or Bartonella clarridgeiae infection in cats.Kordick D, Papich MG, Hess P, and Breitschwerdt EB. | Antimicrobial Agents and Chemotherapy 1997; 41(11): 2448-2455. (1997) Prednisolone at anti-inflammatory or immunosuppressive dosages in conjunction with doxycycline does not potentiate the severity of Rickettsia rickettsii infection in dogs.Breitschwerdt EB, Davidson MG, Hegarty BC, Papich MG, and Grindem CB. | Antimicrobial Agents and Chemotherapy 1997; 41: 141-147. (1997) The 5 Minute Veterinary Consult.M.G. Papich, 1997. Consulting Editor and Formulary author. | Williams & Wilkins, Baltimore, pages 1180-1240. (1996) Laboratory testing of the Charm Test II receptor assays and the Charm Farm Test with tissues and fluids from hogs fed sulfamethazine, chlortetracycline, and penicillin G.Korsrud, G.O., M.G. Papich, A.C.E. Fesser, C.D.C. Salisbury, and J.D. MacNeil. | Journal of Food Protection 59: 161-166. (1996) Disposition of transdermally administered fentanyl in dogs.Kyles, A.E. M.G. Papich, and E.M. Hardie. | American Journal of Veterinary Research 57: 715-719. (1996) Pharmacokinetic model for cefazolin distribution during total hip arthroplasty.Marcellin-Little, D.J., M.G. Papich, D.C. Richardson, and D.J. DeYoung. | American Journal of Veterinary Research 57: 720-723. (1996) Ampicillin and amoxicillin residue detection in milk, using microbial receptor assay (Charm II) and liquid chromatography methods, after extra-label administration of the drugs to lactating cows.Anderson, K.L., Moats, W.A., Rushing, J.E., Wesen, D.P., and Papich, M.G. | American Journal of Veterinary Research 57: 73-78. (1996) Residue depletion in tissues and fluids from swine fed sulfamethazine, chlortetracycline, and penicillin G in combination.Korsrud G.O., M.G. Papich, A.C.E. Fesser, C.D.C. Salisbury, and J.D. Macneil. | Food Additives and Contaminants 13: 287-292. (1996) Drug residue considerations for anesthetics and adjunctive drugs in food producing animals.M.G. Papich, 1996. | Veterinary Clinics of North America (Food Animal Practice) C.R. Swanson (editor). 12(3): 693-706, 1996. (1995) Comparison of four commercially available rapid test kits with liquid chromatography for detecting penicillin G residues in bovine plasma.Boison, J.O., G.O. Korsrud, M.G. Papich, and J.D. MacNeil. | Journal of AOAC International 78: 1144-1152. (1995) Absorption of diazepam after its rectal administration in dogs.Papich, M.G., and J. Alcorn. | American Journal of Veterinary Research 56: 1629-1636. (1995) Preliminary comparison of plasma concentrations of gentamicin injected into the cranial and caudal limb musculature of the eastern box turtle (Terrapene carolina carolina).Beck K., Loomis M, Lewbart GA, Spellman L, Papich MG. | Journal of Zoo and Wildlife Medicine 26: 265-268. (1995) Pharmacokinetics of oxytetracycline administered intravenously to 4 to 5 day-old foals.Papich, M.G., Wright, A.K., Petrie, L., and Korsrud, G.O. | Journal of Veterinary Pharmacology and Therapeutics 18: 375-378. (1995) Potential for oxytetracycline administration by three routes to cause milk residues in lactating cows, as detected by radioimmunoassay (Charm II) and high-performance liquid chromatography test methods.Anderson, K.L., Moats, W.A., Rushing, J.E., Wesen, D.P., and Papich, M.G., 1995. | American Journal of Veterinary Research 56: 70-77. (1995) Professional flexible labeling: an American Veterinary Medical Association perspective.M.G. Papich, 1995. | Journal of the American Veterinary Medical Association, 207: 871-874. (1995) Kirk's Current Veterinary Therapy 12th Edition.M.G. Papich, 1995. Consulting Editor. | In: J.D. Bonagura (ed) Kirk's Current Veterinary Therapy 12th Edition. Philadelphia, W.B. Saunders Company. (1995) Unapproved use of drugs in animals.M.G. Papich, and Gigi Davidson, 1995. | In: J.D. Bonagura (ed) Kirk's Current Veterinary Therapy 12th Edition. Philadelphia, W.B. Saunders Company. Pages 48-52. (1995) Incompatible critical care drug combinations.M.G. Papich, 1995. | In: J.D. Bonagura (ed) Kirk's Current Veterinary Therapy 12th Edition. Philadelphia, W.B. Saunders Company. Pages 194-198. (1995) Empiric antibiotic therapy.S.L. Vaden, and M.G. Papich, 1995. | In: J.D. Bonagura (ed) Kirk's Current Veterinary Therapy 12th Edition. Philadelphia, W.B. Saunders Company. Pages 276-279. (1995) Pharmacologic principles, Chapter 57.M.G. Papich, 1995. | In: S.J. Ettinger and Feldman E.C. (eds) Textbook of Veterinary Internal Medicine 4th Edition. Philadelphia, W.B. Saunders Company. Pages 264-271. (1995) Antimicrobial drugs, Chapter 58.M.G. Papich, 1995. | In: S.J. Ettinger and Feldman E.C. (eds) Textbook of Veterinary Internal Medicine 4th Edition. Philadelphia, W.B. Saunders Company. Pages 272-283. (1994) Disposition of penicillin G after injection of benzathine penicillin G, or a combination of benzathine penicillin G and procaine penicillin G in cattle.Papich MG, Korsrud GO, Boison JO, Yates WDG, MacNeil JD, Janzen ED, McKinnon JJ, Landry DA, 1994. | American Journal of Veterinary Research 55: 825-830. (1994) Simultaneous determination of enrofloxacin and its primary metabolite ciprofloxacin in bovine milk and plasma by ion-paired liquid chromatography.Tyczkowska, K.L., R.D. Voyksner, K.L. Anderson, and M.G. Papich, 1994. | Journal of Chromatography B 658: 341-348. (1994) Pharmacokinetics of enrofloxacin after a single intramuscular injection in indian star tortoises (Geochelone elegans).Raphael, B.L., M. Papich, and R.A. Cook, 1994. | Journal of Zoo and Wildlife Medicine 25: 88-94. (1994) Single-dose pharmacokinetics of cefazolin in bovine synovial fluid after intravenous regional injection.Gagnon H, Ferguson JG, Papich MG, Bailey JV, 1994. | Journal of Veterinary Pharmacology and Therapeutics 17: 31-37. (1994) Depletion of penicillin G residues in tissues and injection sites of yearling beef steers dosed with benzathine penicillin G alone or in combination with procaine penicillin G.Korsrud, G.O., J.O. Boison, M.G. Papich, W.D.G. Yates, J.D. MacNeil, E.D. Janzen, J.J. McKinnon, D.A. Landry, G. Lambert, M.S. Yong, and L. Ritter. 1994. | Food Additives and Contaminants 11: 1-6. (1994) Panel Consensus Report: Human Food Safety: Review of the 1993 Veterinary Drug Bioequivalence Workshop.Koritz GD, Livingston RL, Papich MG, TerHune T, 1994 | Martinez MN, Riviere JE (editors). Journal of Veterinary Pharmacology and Therapeutics 17: 115-116. (1993) Depletion of intramuscularly and subcutaneously injected procaine penicillin G from tissues and plasma of yearling beef steers.Korsrud GO, Boison JO, Papich MG, Yates WDG, MacNeil JD, Janzen ED, Cohen RDH, Landry DA, Lambert G, Yong MS, Messier JR, 1993. | Canadian Journal of Veterinary Research 57: 223-230. (1993) A study of the disposition of procaine penicillin G in feedlot steers following intramuscular and subcutaneous injection.Papich MG, Korsrud GO, Boison JO, Yates WDG, MacNeil JD, Janzen ED, Cohen RDH, Landry DA, 1993. | Journal of Veterinary Pharmacology and Therapeutics 16: 317-327. (1993) Use of breath hydrogen measurement to evaluate orocecal transit time in cats before and after treatment for hyperthyroidism.Schlesinger DP, Rubin SI, Papich MG, Hamilton DL, 1993. | Canadian Journal of Veterinary Research 57: 89-94. (1993) Anti-ulcer Therapy.M.G. Papich, 1993. | Veterinary Clinics of North America (Small Animal) 23: 497-512. (1992) Effect of cold temperature storage on the stability of benzylpenicillin residues in plasma and tissues of food-producing animals.Boison JO, Korsrud GO, MacNeil JD, Yates WDG, Papich MG, 1992. | Journal of the Association of Official Analytical Chemists International 75(6): 974-978. (1992) Determination of penicillin G in bovine plasma by high-performance liquid chromatography after pre-column derivatization.Boison JO, Korsrud GO, MacNeil JD, Keng L, Papich MG, 1992. | Journal of Chromatography: Biomedical Applications 576, 315-320. (1992) Current Veterinary Therapy 11th Edition. M.G. Papich, 1992. Consulting Editor. | In: R.W. Kirk and J.D. Bonagura (eds) Current Veterinary Therapy 11th Edition. Philadelphia, W.B. Saunders Company. (1991) Performance of five screening tests for the detection of penicillin G residues in experimentally injected calves.MacNeil JD, Korsrud GO, Boison JO, Papich MG, Yates WDG, 1991. | Journal of Food Protection 54, 37-40. (1991) Keeping current on developments in antimicrobial therapy.S.W. Dow, M.G. Papich, 1991. | Veterinary Medicine June, 600-609. (1991) Therapeutic Drug Monitoring: A Realistic Assessment.M.G. Papich, 1991. | Veterinary Medicine Report 3(2), 165-171. (1991) Drugs Used in the Treatment of Gastrointestinal Disease.M.G. Papich, 1991. | In: J.R. August (ed. ), Consultations in Feline Internal Medicine (Chapter 58). Philadelphia, W.B. Saunders Company. Pages 463-469. (1990) Pharmacological Relaxation of the Urethra in Male Cats: A Study of the Effects of Phenoxybenzamine, Diazepam, Nifedipine, and Xylazine.D.I. Mawby, S.M. Meric, E.C. Crichlow, M.G. Papich, 1990. | Canadian Journal of Veterinary Research 55, 28-32. (1990) Tissue Concentrations of Antimicrobials: The Site of Action.M.G. Papich, 1990. | Problems in Veterinary Medicine 2(2), 312-329. (1990) Toxicoses from Over-the-Counter Human Drugs.M.G. Papich, 1990. | Veterinary Clinics of North America (Small Animal) 20(2), 431-451. (1990) Medical Therapy for Gastrointestinal Ulceration in Foals.R.J. Geor, M.G. Papich, 1990. | Compendium on Continuing Education for the Practicing Veterinarian 12(3), 403-413. (1989) Clinical and Pathological Effects of Flunixin Meglumine Administration to Neonatal Foals.J.B. Carrick, M.G. Papich, D.M. Middleton, J.M. Naylor and H.G.G. Townsend, 1989. | Canadian Journal of Veterinary Research 53(2): 195-201. (1989) The Protective Effects of Sucralfate and Ranitidine in Foals Experimentally Intoxicated with Phenylbutazone.R.J. Geor, L. Petrie, M.G. Papich and C. Rosseaux, 1989. | Canadian Journal of Veterinary Research 53(2): 231-238. (1989) Antiulcer Therapy.M.G. Papich, 1989. | Veterinary Medicine Report 1(3), 309-320. (1989) Effects of Drugs on Pregnancy.M.G. Papich, 1989. | In: R.W. Kirk (ed. ), Current Veterinary Therapy 10th Edition. Philadelphia, W.B. Saunders Company, 1291-1298. (1989) Medical Therapy of Gastrointestinal Ulcers.M.G. Papich, 1989. | In: R.W. Kirk (ed. ), Current Veterinary Therapy 10th Edition. Philadelphia, W.B. Saunders Company, 911-917. (1989) Glucocorticoid Therapy.M.G. Papich and L.E. Davis, 1989. | In: R.W. Kirk (ed. ), Current Veterinary Therapy 10th Edition. Philadelphia, W.B. Saunders Company, 54-62. (1989) Complications of Cardiopulmonary Drug Therapy.P.R. Fox and M.G. Papich, 1989. | In: R.W. Kirk (ed. ), Current Veterinary Therapy 10th Edition. Philadelphia, W.B. Saunders Company, 308-315. (1989) Non-steroidal Anti-inflammatory Drugs.S.I. Rubin and M.G. Papich, 1989. | In: R.W. Kirk (ed. ), Current Veterinary Therapy 10th Edition. Philadelphia, W.B. Saunders Company, 47-53. (1988) Therapy of Gram-positive Bacterial Infections.M.G. Papich, 1988. | Veterinary Clinics of North America 18(6): 1267-1285.